Born and raised in Shkodra, Lin Delija studied first in Herceg Novi and then in Zagreb at the Academy of Fine Arts. Later, with the help of Ernest Kolic he gained a scholarship at the Academy of Fine Arts in Rome where he was taught by Mario Mafai and Amerigo Bartoli. His style harmoniously combines modern elements with ethnic Albanian style. Today his works are exhibited worldwide as there is keen interest in the expressive language of Delija’s incisive large-scale works. One of the greatest modern painters of Albanian origin, Anastas Arthur Tashko was born in Korca, Albania, in 1901. He moved to the USA in 1923, where he studied at Harvard Law School. Tashkko moved to Spain and later Colombia, dedicating his life to modern painting. Tashko is considered one of the most influential artists in the genre of Cubist Constructivist in Latin America. His work is included in important private and public collections including the National Museum of Colombia, the Stadisches Museum in Germany and the Vienna Secession gallery. Andrea Kushi was born in Shkodra in 1884. He studied art in Belgrade from 1912 to 1914 before returning to teach in Shkodra and Tirana where he set up the first art school in 1931. Kushi lived in Korça from 1937 to 1943, where he was in close contact with the painters Vangjush Mio and Foto Stamo. 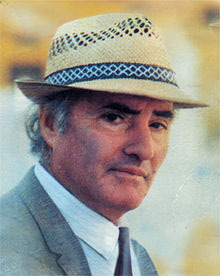 Living in Elbasan between 1944 to 1947 he moved back to Tirana where he died in 1959. He is remembered for his portraits and landscape paintings where he lived. Well known among his works are the portraits ‘Shepherd with a Staff’ and Portrait of a Girl, 1930, both on show at the National Art Gallery, Tirana. Mio is considered the best Albanian landscape painter of the 20th Century. His favorite subjects were the cities Korçë, Pogradec and the surrounding area, but he immortalized in his works also other cities like Tirana, Elbasan, Himarë, Berat and Gjirokastër. Besides landscapes Mio was brilliant also in portrait painting. 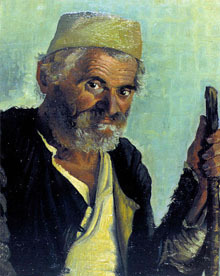 Sixty of his works can be seen at the National Gallery of Figurative Arts of Albania in Tirana. Further paintings hang in his renovated family home in Korçë, now the Vangjush Mio Museum.